Na…..something….ra. I am taking a wild guess that it sounds sort of like Na-th-ra but in a more nuanced and chilly tone. Naðra comes as the confluence between three as of yet discovered metal bands from Iceland. If Carpe Noctem, Dysthymia, and Abacination come as blanks in ones metal knowledge, then Naðra can possibly your 4th Icelandic metal band you just found out about today. If I seem joking about Iceland’s metal climate it is only because it, as a country, as a far lower amount of metal bands than others. While this may seem obvious due to size, the actual product of heavy metal in Iceland is nothing short of fierce and ferocious. Eitur, as a two song demo, does a wonderful job of introducing the act and their possible intentions. The vocals are raw which matches the stripped production. While the first track, “Fjallið” plays at the speed indicative of the first wave, the 13 minute closing track “Falið” sways at mid tempo leading to an experience riddled with emotion, loss, and devastation. 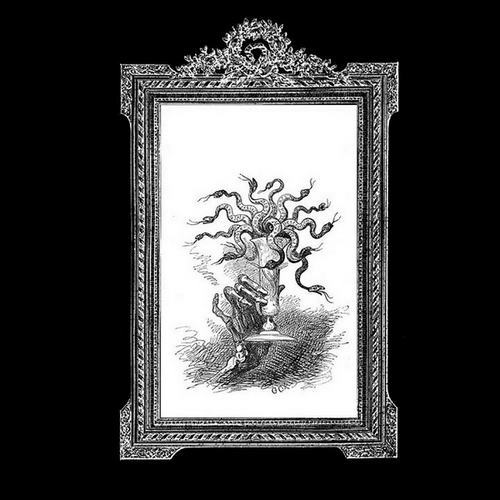 The production and imagery the band creates is intriguing and adds to the mystic of raw mystic black metal. Eitur far exceeds expectations for a competent demo and further adds to Iceland’s possibility for being a consistent export of harrowing heavy metal. Good heavy metal is practically in all places. Naðra’s demo is thew first step into a greater scene of extreme metal which seems to be pooling up in Reykjavík. Eitur is worth anyone’s time granted they have an interest in effective and emotionally draining heavy metal as well as learning how to pronounce different special vowels and consonants. Give me a sheep cloak and let me try this again.